When you have routine blood tests, the chances are one of the tests will measure your creatinine level. Creatinine is a breakdown product of creatine — a protein found primarily in muscles. Creatinine is continuously produced in your muscle cells, enters the blood and then exits your body through the urine. Blood creatinine levels are generally used as indicators of kidney function. Because creatinine originates in muscles, people with more muscle tend to have higher levels. The normal creatinine range is slightly higher in men than in women — about 0.6 to 1.2 mg/dL in men and about 0.5 to 1.1 mg/dL in women. High creatinine means that your blood test result is greater than the highest number of the normal range provided by the lab. High creatinine levels are often caused by kidney damage, which prevents normal elimination of creatinine through the urine. But high levels may also occur with blockage of the urinary tract, certain medical conditions, creatine supplements and some medications and chemicals. Very strenuous exercise and consuming large amounts of meat may also increase creatinine levels. High creatinine levels are an indicator of possible kidney damage, which may be temporary (acute) or persistent (chronic). Sometimes the damage is caused by low blood flow to the kidneys. This can result from a number of conditions, such as low blood pressure, heart failure, severe dehydration, major blood loss or narrowed arteries leading to the kidneys. In other instances, the kidneys themselves are directly damaged. This may be caused by an infection, tumor or certain medications — such as aminoglycoside antibiotics. Diabetes, high blood pressure, autoimmune diseases such as lupus and some inherited diseases are among the many other possible causes. After urine leaves the kidneys, it travels through the ureters to the bladder and then exits the body through the urethra. Blockage at any location along this path may cause urine to back up into the kidneys, raising creatinine levels in the blood. Kidney stones, tumors or an enlarged prostate are among the more common causes. Blockage of just one ureter is less likely to increase creatinine levels than blockage of both ureters, the bladder or urethra. This is because urine will continue to flow normally through the open ureter, removing creatinine from the body. Some people use creatine supplements to increase muscle mass and strength. 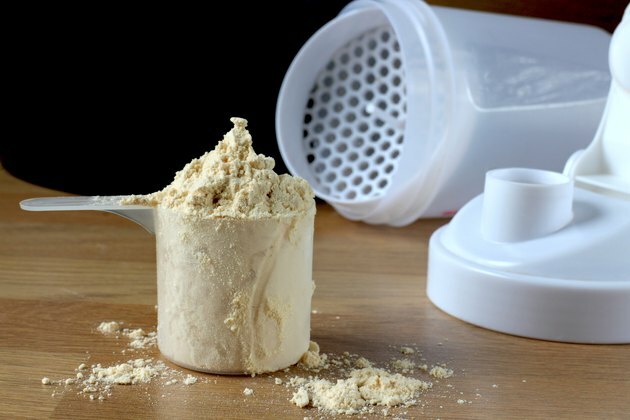 Of the two types of supplements — creatine ethyl ester (CEE) and creatine monohydrate — CEE supplements are most likely to increase creatinine levels. As explained in an article in the February 2011 issue of The Netherlands Journal of Medicine, CEE supplements are broken down in the digestive tract to creatinine, which is then absorbed into the body and directly increases creatinine levels in the blood. Creatine monohydrate supplements are not broken down in this manner. The authors of the article recommended stopping CEE supplements for six days before creatinine blood tests to allow their effects to disappear. Some medications reduce creatinine elimination through the kidneys but don't produce actual kidney damage. They just interfere with this specific function in the kidneys. H2-blockers — such as cimetidine and ranitidine — and the antibiotic trimethoprim are examples of medications with these effects. Rhabdomyolysis is a rare condition characterized by the death of muscle cells. This releases creatinine into the blood, causing creatinine levels to rise. Another protein in muscles, called myoglobin, is also released when these cells die. Myoglobin can directly damage the kidneys, further increasing creatinine levels. Diabetic ketoacidosis (DKA) is a life-threatening condition caused by very high blood sugar, which occurs in people with type 1 diabetes. DKA often produces severe dehydration — this can lead to kidney damage and high creatinine levels. Creatinine levels can also be elevated because high quantities of acetoacetate in the blood during DKA may interfere with some creatinine lab tests. 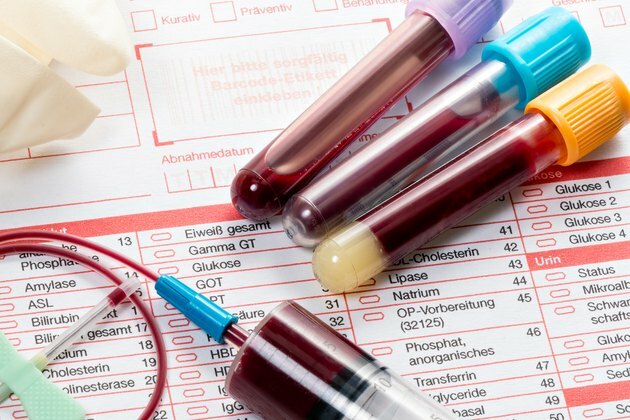 High blood levels of certain types of proteins may also interfere with the way creatinine levels are measured. Articles in the American Journal of Kidney Diseases in November 2016 and BMJ Case Reports in January 2017 described two women with high immunoglobin M paraprotein levels who had falsely high creatinine levels. In one of these women, the cause of the increased paraprotein was unknown, while in the other woman, it was due to lymphoma. Consuming large quantities of meat may increase creatinine levels. Heating during the cooking process converts creatine in meat <ahref="https: www.ncbi.nlm.nih.gov="" pmc="" articles="" pmc3383162="" "=""> </ahref="https:>into creatinine. When cooked meat is eaten, the creatinine is absorbed into the body and directly raises blood levels. Eating red meat can increase the creatinine level by 30 percent, according to a May 2018 article in StatPearls. 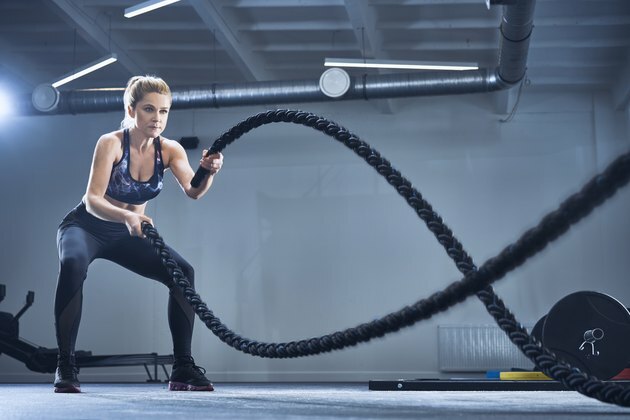 Additionally, very strenuous exercise can break down muscles, releasing creatinine from the cells. This may increase creatinine levels for a couple days. Because an elevated creatinine often indicates a problem with your kidneys or other part of your urinary tract, your doctor will want to determine the cause. This may involve additional blood or urine tests. Although a high creatinine level should never be ignored, it's important to realize that a normal level doesn't always mean that your kidneys are perfectly normal. In fact, creatinine levels will not rise above the normal range until your overall kidney function — the combined function of both kidneys — has decreased to 50 percent of normal. A high creatinine level itself produces no symptoms, which is one of the reasons why routine blood tests are performed. But the underlying cause may produce symptoms. With kidney damage, for example, you may notice symptoms of poor kidney function, such as weakness, shortness of breath, fluid retention and confusion. See your doctor if you have any of these symptoms.